Welcome ebook writer! 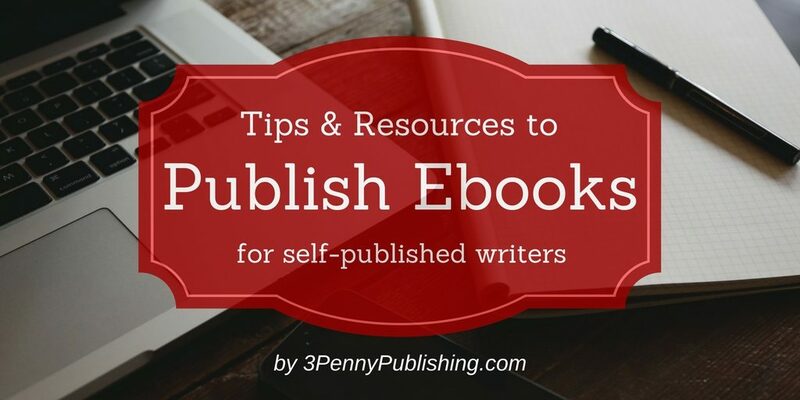 Below are links to information, tools and tips to help you start self-publishing your empire of ebooks. Or your first ebook, if you are just getting started. While this is not a full list, it will give you an idea of the steps needed to publish and sell ebooks. In addition, there are also many handy tips and tools (e.g. to make a good ebook cover). Finally, for general self-publishing information, check under the Self-Publishing Resources tab. The following links will take you to articles by experienced self-published authors as well as general “how-to” ebook information. Below is a list of the main ebook publishing platforms. Kindle is the largest and probably most popular (via Amazon). However, Smashwords was developed with the help of self-publishing writers and has a good reputation. New ebook resources are always being developed and old services are always changing. Therefore it’s recommended to stay up-to-date with ebook news. Here are some ebook news blogs to follow. These links are all about ebook conversion, which can get tricky. Some writers take time to learn this skill. However, other writers outsource the task. People do judge a book by its cover. And you don’t want to end up on a ‘bad ebook covers’ list. Therefore it is essential to have a professional-looking ebook cover. For this you must get professional design help (unless you have proven design skills). You may be tempted to stubbornly stick with your own cover design ideas. However, don’t risk losing sales because of novice cover design blunders. Find a graphic designer or purchase an inexpensive pre-made ebook cover. It will save you time and frustration. A talented local BC designer with a lot of ebook cover experience is Michelle Fairbanks of Fresh Design. Or, check out Ana Charbrand’s ebook cover services (Vancouver, BC). If you sell a digital book or product from your website, such as a PDF booklet that you email to purchasers, you may want to use a 3D-effect illustration. For example, this online business uses 3D covers for all their products. If you only need a few designs, you might be able to do them yourself (DIY). However, if you will be needing many, then you may want to purchase software. Find any of these resources helpful? Any ideas for a resource that should be listed? Please send an email. Note: Links and information are for research purposes and do not replace professional advice. Accuracy of third-party websites cannot be verified. Links do not indicate endorsement.